If a trip to a Disney theme park, Universal Studios, Sea World, Aquatica, Busch Gardens or even the Holy Land Experience is on your agenda, we’ve got just your thing- the Cheap Florida Bus way! We have convenient, care-free day trips. But if you have an extra night or two to spare, the nightly fireworks and light shows are a MUST-SEE! We offer multiple day trips as well- ALL at incredibly inexpensive and AFFORDABLE rates! These rates are even cheaper than a concierge’s rates! Rates beginning at $298 (child fare) per person for 2 days and 1 night in Orlando including hotel accommodations, roundtrip transportation, local transfers and admission into TWO theme parks- yes, admission and even breakfast! What’s best? No parking fees at the theme parks, no car rental fees, no gas fees, no toll fees and NO driving 4 hours into an unknown city! With complete packages for the whole family, what could be easier? Check out our testimonials. * Changes made during travel or through someone other than Cheap Florida Bus may incur additional fees paid directly to the hotel or agency. Is their an age requirement? Yes. You must be at least 18 yrs old with a picture ID and a credit card in order to register at any of our hotel options. What if I just need transportation? Our daily bus service might just be the one for you. Check out our one way bus schedules between Miami and Orlando at just $30! What is available returning the same day? We offer a one day tour that operates on the same schedule as the luxury bus and the multiple day vacation packages. You return in approximately less than 19 hours. Are there other Orlando trips available? Which theme parks can we choose? Choose from ANY Disney theme parks: Magic Kingdom, Epcot, Hollywood Studios (formerly MGM Studios), Animal Kingdom, Blizzard Beach and Typhoon Lagoon. You can also choose from Universal Studios and sister park Islands of Adventure. 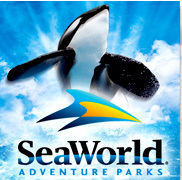 You can choose Sea World, Aquatica and even Busch Gardens*(additional rates apply for Busch Gardens). We even offer the Holy Land Experience as a unique option. Can we choose the order in which we visit the parks? The order of attractions in your vacation package is determined by our traffic department. Specific order of attractions are not guaranteed but may be requested. Where can I see additional information about the hotel options listed? Additional information including links to the hotels can be found on our Vacation Hotel Options list. How many people are allowed per hotel room? Rooms have a maximum of 4 guests. When does the bus depart? Departure times range from 4:45 am to 8 am depending upon your complimentary pick-up location or hotel. Complimentary pick up is available from Kendall, Hialeah, the Miami Airport Regency hotel, Downtown Miami Holiday Inn (port of Miami), South Beach hotels, Miami Beach hotels, North Beach hotels, Hollywood, Fort Lauderdale / Boca Raton, and West Palm Beach. You will be prompted for a pick-up location from our hotel pick-up list when making your reservation. When does the bus arrive in Orlando? The bus arrives in Orlando at approximately 11:15am. The extension to your park is shortly after arrival. The extension to parks departs at 11:30am and begins with Orlando area theme parks and ends at Magic Kingdom area parks at approximately noon. You are normally taken directly to your park’s entrance. On days when park entrance wait times are affected, you may be dropped off at Disney’s transportation hub at Epcot Centre where you can take Disney’s speedy Monorail directly to your park for no additional charge. What time does the bus pick us up from the theme park to return to Miami? The average pick-up time from the Walt Disney World area is 6 pm with Universal Studios being 6:30 pm. Your driver gives you specific instructions earlier in the morning when dropped off. Please pay attention to his instructions and ask all necessary questions to make sure you understand the pick-up point. What time will we return to Miami? The bus begins the first drop offs at North Miami Beach hotels at approximately 10:30pm. The bus then continues south to South Beach and west into various Miami stops. The final stop, Kendall’s Dadeland Marriott, is at approximately 11:45 pm. Is it difficult to reserve online? Not at all. It’s the quickest way with just a few steps and no long distance charges, no having to press multiple options on a phone or having to hold on the line for the next available operator. 1. Choose your travel date and package length (1 Day = 1 Park). Please contact us at support@cheapfloridabus.com for special requests or additional nights/parks. 2. Pick from the list of theme parks and water parks. 3. Pick from any hotel on the Vacation hotels list. 4. Choose the correct occupancy and child age range. 5. Complete your personal and payment information for your reservation online. Schedule changes map apply for holiday dates. Should you book a holiday or book within hour 24 hour deadline, your payment could be voided if such a change exists. We will contact you immediately to advise you. You are welcome to contact us in advance via e-mail at support@cheapfloridabus.com for availability on holidays. We are an online booking website for registered and insured bus lines. Completing an online reservation is acceptance of our terms. An online reservation is complete when then payment has been accepted and approved. We have a SIMPLE, no penalty, 72 Hour Cancellation policy. Reservations cancelled within the 72 hour cancellation policy period incur a full penalty- NO REFUNDS within 72 hours of travel date. Cheap Florida Bus on behalf of all bus companies advises that service will be refused to any person under the influence of, or appearing to be under the influence of, any intoxicating beverages or drugs or who is unable to take care of oneself, be it from intoxication or medical ailment or to any person whose conduct is such, or likely to be such, as to make one objectionable, a nuisance or a danger to other passengers. Vehicles may be changed per operational needs. We are not responsible for any fees incurred due to changes or special requests made during travel or through someone other than Cheap Florida Bus. We solely refund all monies received by the 48 hour penalty period. Our liability is limited to a refund of the monies paid to us only.